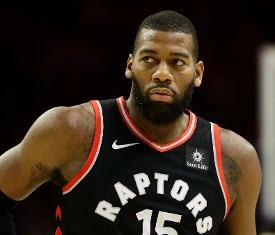 The Toronto Raptors on Thursday traded center Greg Monroe and a second-round pick in 2021 to the Brooklyn Nets in exchange for cash considerations. The Nets have requested waivers on the ninth-year veteran. Monroe, 28, averaged just 11.1 minutes in 38 games (two starts) for the Raptors this season, tallying 4.8 points and 4.1 rebounds per contest. Monroe's best years were with the Pistons. He averaged a career-high 16.0 points in 2012-13 and a career-high 10.2 rebounds in 2014-15. If Monroe clears waivers, he would be free to sign with any team that has a need for a 6-foot-11 post player with 627 games of experience. His career numbers include a .513 field-goal percentage and averages of 13.2 points and 8.3 boards per game.